Trauma-sensitive schools help ALL children to feel safe to learn. Watch our new video to find out why. Video: The Impacts of Trauma on Learning, Part 1: Academic Performance. Published in 2005, TLPI’s landmark report summarizes the research from psychology and neurobiology that documents the impact trauma from exposure to violence can have on children’s learning, behavior and relationships in school. 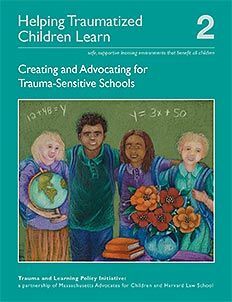 The report also introduces the Flexible Framework, a tool organized according to six core operational functions of schools that can help any school create a trauma sensitive learning environment for all children. Michael Gregory, a Senior Attorney on the staff of the Trauma and Learning Policy Initiative and Clinical Professor of Law at Harvard Law School, shares the five core ideas of Helping Traumatized Children Learn Volumes One and Two. 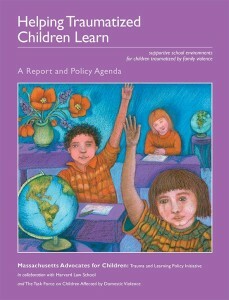 Published in 2006, this manual for child advocates outlines educational rights that can be enforced to help keep children safe at school. Five legal areas covered in the manual are the McKinney-Vento Homeless Assistance Act, the Individuals with Disabilities Education Act (IDEA), state school records regulations, restraining orders, and laws and policies regarding shelter placements. 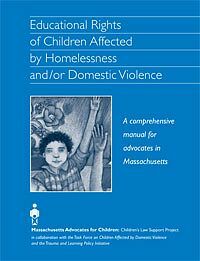 While intended for a Massachusetts audience, advocates in other jurisdictions may also find the resources included in this manual helpful.